It would not be wrong to say that no Paris vacation would be complete without the trip to the Louvre Palace to visit the Museum. Whenever you schedule your visit here, make sure that you plan to start your day at the Angelina Tearoom. If you’re already making a trip to the Museum, then the Angelina Tea House, which is only a few minutes’ walk from the museum, would make for a great dining experience. 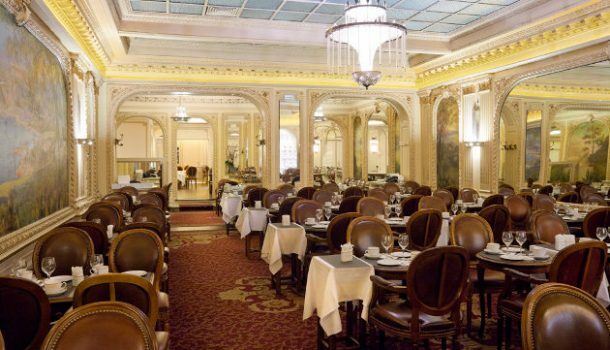 You will understand why this century-old tearoom is still considered as a Parisian institution, when you take one look at it. You can start your day at the Angelina Tearoom with a scrumptious breakfast. The breakfast at the Angelina offers both hot and cold beverages, mini viennoiseries and bread rolls, eggs prepared according to your preference, and fruit salad. You can choose the Chocolat Chaud Angelina instead of coffee, their most popular menu item for a good reason. If you’re not a heavy breakfast eater, you can pair the hot chocolate with an order of Brioche Toasts that is served with chestnut cream. You can purchase some sweet treats for youself to enjoy later. The Dark Chocolate and Salted Caramel Toffee would be a perfect indulgence as you go home and want to have a relaxing time. These fine and delicious truffles would surely sweeten an already unforgettable Paris experience at Angelina Tea House.